Nashville, TN --- May 17, 2016 --- Over the weekend, the iconic ALABAMA broke records playing three back to back sold out shows with the Nashville Symphony. 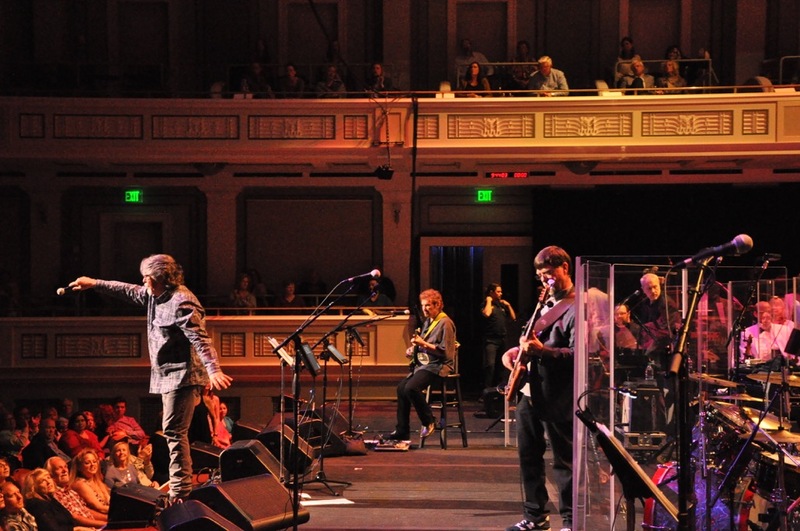 The three-night stand was the highest grossing run in the history of the Schermerhorn Symphony Center with The Nashville Symphony Orchestra. Each night the group performed a ninety minute set full of chart topping hits and anthems including: “Dixieland Delight,” “Mountain Music,” “Song Of The South” and “The Closer You Get.” The band also performed their new single “Come Find Me” from their BMG studio album Southern Drawl. Special guests over the three nights included Alabama native Jamey Johnson and the incomparable guitar slinger, James Burton. In honor of the late great Merle Haggard, James Burton took to the stage. Jeff Cook commented, “James Burton is the best guitar player I’ve ever seen, I'm honored to have him here tonight.” Having thoroughly enjoyed the experience of playing with an 80 plus piece orchestra, bass player and principle Teddy Gentry added when walking off stage, “can we take them out with us all year?” The respect was clearly mutual, as the orchestra remained on stage to extend the performance for a fifteen-minute encore. After the performance on Saturday night, the band took time to commemorate the trio of record-breaking shows taking photos backstage (see attached). The Nashville performances were the perfect way to kick off the 2016 Southern Drawl Tour, running through October.